Every morning for the last couple of weeks, I have transported myself to a magical Ottoman Kingdom where I am Queen, and I swim in what feels like silky, and aromatic Turkish Delight. When I get out of the shower, I realise I’m me, and still in Hackney Wick! 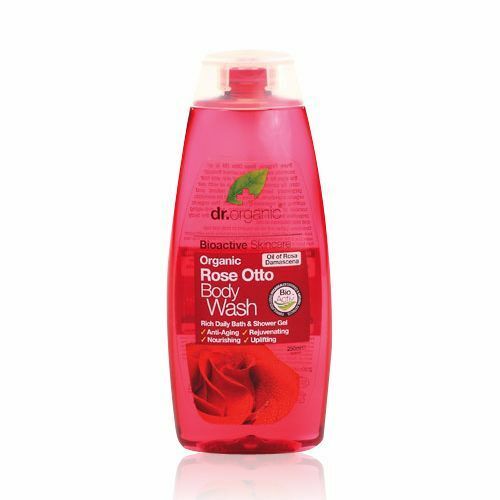 I love rose everything, it’s natural, smells and tastes delicious, and it has amazing healing properties. It’s been used for centuries, and renowned for anti-ageing as it firms and tones the skin, while improving the skins texture making it appear smoother, softer and younger. Give me anything rose and I’ll take it, I’m obsessed! 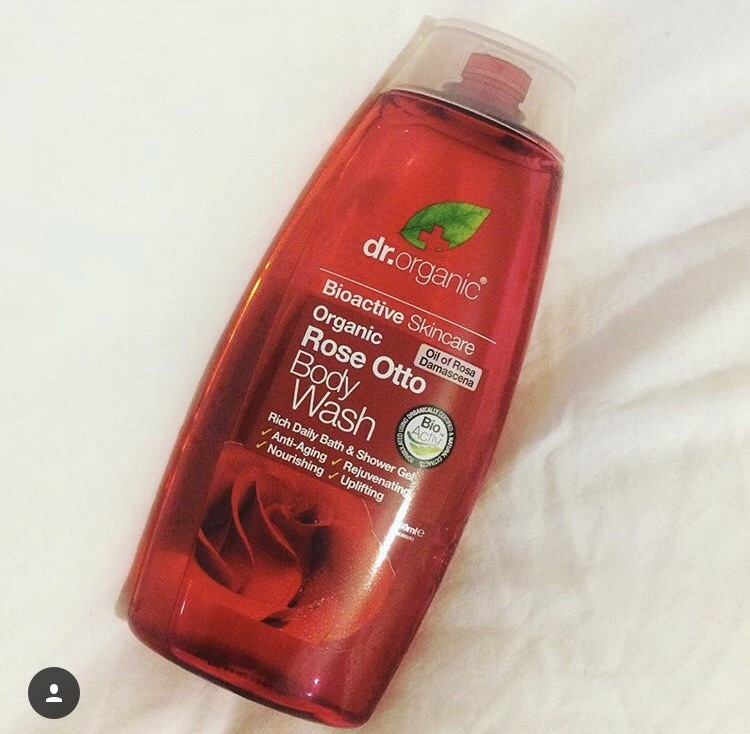 I bought this Rose Otto body wash from Dr Organic in Holland & Barrett as they sell beauty products and were having a BOGOF offer, so I bought Rose for the day, and Lavender for the evening. This shower gel contains Rose Otto Oil, Aloe Vera, Limeflower, Chamomile, Passionflower, Calendula plus Geranium and Clove Essential Oils. Seriously, its an absolute dream, just listen to those ingredients rolling off your tongue, they are beautiful, and that’t exactly what this stuff smells like. I can’t get myself out of the bathroom every day. A small amount goes a long way as it lathers really well which I find surprising for a natural skincare product as they don’t normally foam. This feels amazing on the skin, the scent is intoxicating and it leaves the skin feeling super soft and hydrated. I really haven’t even got bored of yet, I think I would pour it over everything I consume if I could. It is uplifting, anti-ageing and calming – so pretty much gets you ready for the day before the commute chaos hits you.